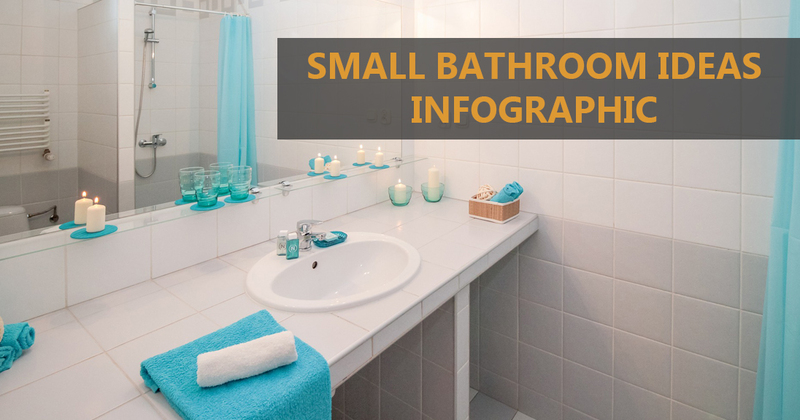 A small bathroom is a reality that many homes are saddled with. And when the floor space is limited, there is not much one can do to improve things. That said, there are certain ways in which you can ease the difficulties caused by a small bathroom space. These bathroom design ideas are not just useful for small bathrooms, but border on the essential. First up is one of the easiest and least expensive ways to increase the visual size of any bathroom; mirrors. While the placement of the mirror is more important than its size, a larger mirror definitely helps. Mirrors reflect incident light. 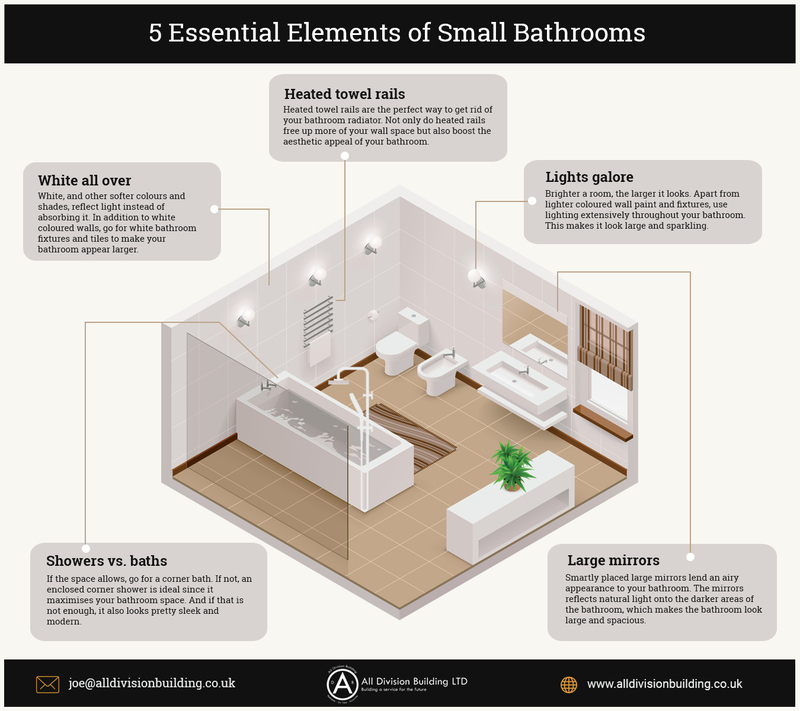 So when you place them in a manner that throws light on the darker areas and corners of the bathroom, the result is a space that carries the illusion of a larger area. Next up is using heated towel rails, something that negates the purpose of having a separate radiator for the bathroom. Heated towel rails are today available in a variety of designs and patterns. They also look a lot more palatable than conventional bathroom radiators and free up a fair amount of your bathroom’s wall space. The choice between a bath and a shower is difficult to make when the space available is small. But if it can accommodate a bath, install one in the corner. But if floor space is limited, a corner shower enclosure is a reliable option that looks the part as well. Finally, using white coloured paint and fixtures alongside strategically-mounted lighting is another neat visual trick to enhance the size of your bathroom. Both measures reflect light and give that much needed roomy atmosphere to a physically small bathroom.